A magical introduction to gymnastics and movement for 2-11 year olds. Box of Tricks is a compendium of small games apparatus housed in a compact combined storage unit and vaulting/agility platform. Open it up and Hey Presto – Gymnastics!! Box of Tricks can conjure up lesson after lesson of whole class activities. 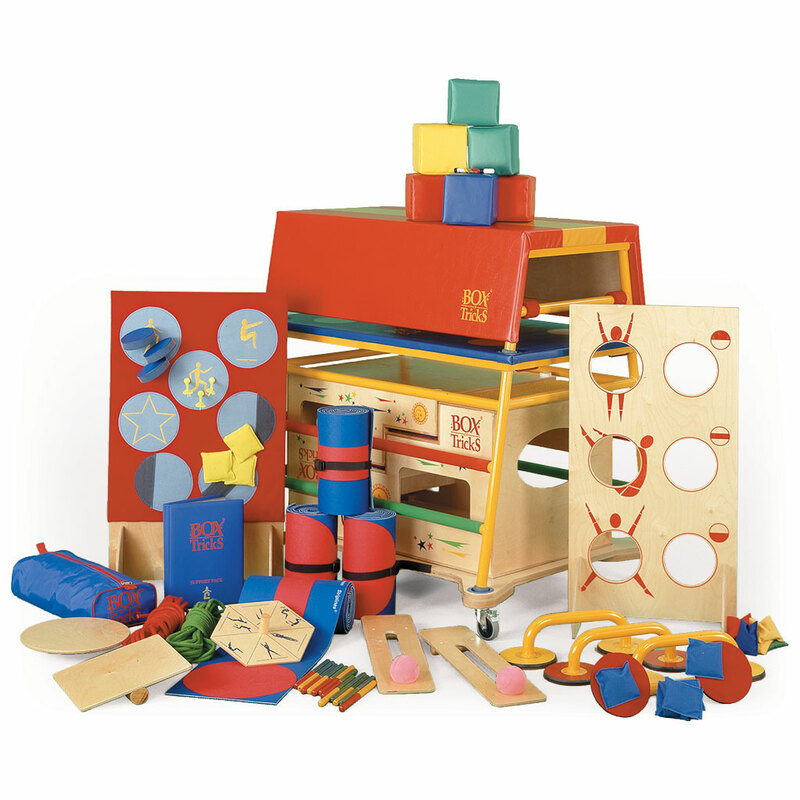 Developed by Kate Pearson, International gymnastics consultant, Box of Tricks is designed to engage children in the development of basic movement activities including jumping and landing, rolling, locomotor skills, body preparation, throwing, aiming and co-ordination. It will help enhance flexibility, strength, spatial awareness and balance. Unlike traditional equipment, Box of Tricks is FUN and will allow children boundless scope for their energy and imagination. Teacher/pupil directed, it affords enjoyable delivery of junior gymnastics through a variety of innovative equipment and teaching methods. An element of chance in the selection of activities – presented as ‘games’ – promotes productive activity, progression and the understanding of sequencing.